For other people called Louise of Schleswig-Holstein, see Princess Louise of Schleswig-Holstein. Louise of Hesse-Kassel (German: Luise Wilhelmine Friederike Caroline Auguste Julie von Hessen-Kassel, Danish: Louise Wilhelmine Frederikke Caroline Auguste Julie; 7 September 1817 – 29 September 1898) was Queen of Denmark by marriage to King Christian IX of Denmark. She was a daughter of Prince William of Hesse-Kassel and Princess Charlotte of Denmark. Louise of Hesse lived in Denmark from the age of three. As a niece of King Christian VIII, who ruled Denmark between 1839 and 1848, Louise was very close to the succession after several individuals of the royal house of Denmark who were elderly and childless. As children, her brother Frederik Wilhelm, her sisters and she were the closest relatives of King Christian VIII who were likely to produce heirs. It was easy to see that the agnatic succession from King Frederick III of Denmark would probably become extinct within a generation. Louise was one of the females descended from Frederick III of Denmark, and she enjoyed the remainder provisions of the succession (according to the Semi-Salic Law) in the event that his male line became extinct. She and her siblings were not agnatic descendants of the House of Oldenburg and the Dukes of Schleswig-Holstein, thus ineligible to inherit the twin duchies, since there existed a number of agnatic lines eligible to inherit those territories. Louise was married at the Amalienborg Palace in Copenhagen on 26 May 1842 to her second cousin Prince Christian of Schleswig-Holstein-Sonderburg-Glucksburg. He was soon selected as hereditary prince of Denmark and later ascended the throne of Denmark as King Christian IX. The marriage greatly strengthed Christian's efforts to secure the Danish throne, since it joined two competing claimants whose children would have an enhanced connection to the ancient bloodlines of the Danish monarchy. Louise and Christian lived a quiet family life. Louise's mother and siblings renounced their rights to the Danish throne to her. Louise herself in turn renounced her rights to the throne to her spouse Christian. In 1852, this succession order was confirmed by the Nordic countries and foreign powers in London. In 1847, Prince Christian was, with the approval of Europe's Great Powers, chosen as successor to the Danish throne by Christian VIII (who did not expect his only surviving son, the future Frederick VII, to father dynastic sons). This choice of heir was made more dynastically palatable by the fact that, thanks to the mass renunciations of the Hesses, Christian's wife Louise became the heiress eventual to the crown, meaning that the couple's children would be heirs to the throne both by right of international treaty and by compliance with the Lex Regia. This resolved the succession to the Danish crown, but not Denmark's claim on the twin duchies of Schleswig and Holstein. German Holstein's historic law of succession was Salic and could not so easily be reconciled with Christian's claim so long as the Augustenborgs survived and Prussia offered itself as the international champion of German nationalism. The result of this conflict was the Second War of Schleswig. 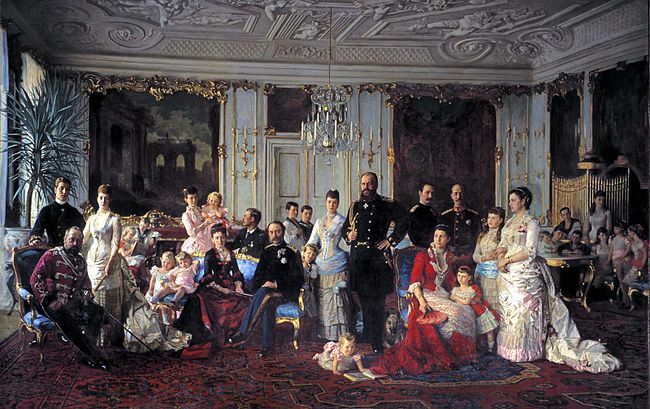 On 3 July 1853, King Frederick VII confirmed this succession. By that act, Louise and Christian became Crown Princess and Crown Prince of Denmark. Louise had a tense relationship with King Frederick VII, who contradicted the succession of her spouse, and whose marriage to the non-royal Louise Rasmussen she did not approve of. Therefore, the King and the Crown Prince couple did not see each other very often. 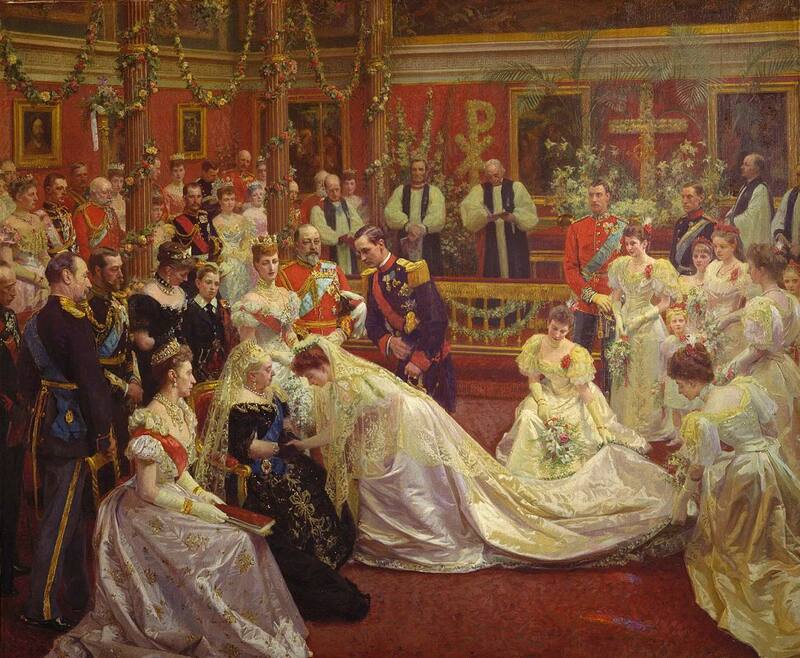 On 15 November 1863, Louise and Christian became Queen and King of Denmark. The relationship between Louise and Christian seems to have been at least partially a marriage of love, and is described as happy: she supported him in his struggle to be acknowledged as heir to the throne of Denmark, and the couple became strongly attached to each other during the years of succession struggle. Her loyalty is said to have been of great importance to him, and Christian is described as dependent upon her intelligence, judgment and psychological strength, all of which were considered to be superior to his own. Their life style is described as simple and puritan, and as this suited the contemporary view of an exemplary family life, the royal family was regarded as a morally correct role model. Because of this, the pregnancy of her unmarried daughter Thyra in 1870 became a burden; Louise took control of the situation and hid it from public knowledge by sending Thyra to give birth abroad, keeping the whole affair a family secret. As queen, Louise lived a life isolated from the people and did not seek a relationship with or recognition from the public. She took no part in state affairs; her political interests focused on the arranged dynastic marriages of her children and were affected by her anti-German views. The high status marriages she arranged for her children secured the newly established Danish dynasty international status, connecting Denmark to Great Britain, Russia, Sweden and Greece. Known as "The Mother-in-law of Europe," her annual family gatherings at Bernstorff and Fredensborg attracted more attention every year and made her a popular symbol of family life. Significant events in her life included her wedding anniversary on 26 May 1867, when she received great public praise; her birthday celebration of 1887; the wedding anniversary of 1892, and her 80th birthday in 1897. Louise supported 26 different charity organizations. Among them were Vallø stift; Kronprinsesse Louises praktiske Tjenestepigeskole (The Servant Girls' School of Crown Princess Louise) and the Dronning Louises Børnehospital (Queen Louise's Children's Hospital). In 1857, she founded the Louisestiftelsen (Louise Foundation), an orphanage for girls with the purpose of raising them to a life of domestic servants, which illustrated her deeply conservative ideals. Her most known project, and one which she herself referred to as her most important, was the Diakonissestiftelsen (The Deaconess Foundation) in 1863, which introduced the Deaconess profession in Denmark. In 1891, she initiated the Foreningen til Oprettelse af Friskolebørneasyler i Kbh.s Arbejderkvarter (Foundation for the Establishment of Charter school's Asylums in the Labour Quarters of Copenhagen). She founded the Belønnings- og Forsørgelsesforeningen (The Reward- and Self-supporting Foundation) in 1881, supported domestic servants by providing financial aid to the ill, during unemployment and in retirement. Louise was deeply conservative, and her charitable work has been interpreted as a fear of socialism and the growing workers movement. She was interested in music and painting and acted as the patron of artists, such as Elisabeth Jerichau Baumann. Some of her own paintings were exhibited and given as gifts to members of other royal dynasties. During her last years, she became deaf, and her needs were taken care of by two deaconesses from the Deaconess institution she founded. Louise was queen for 35 years, longer than any other Danish queen before her. The great dynastic success of Louise's six children was to a great extent a result of her own ambitions rather than the efforts of her husband, Christian IX. Some have compared her dynastic capabilities with those of Queen Victoria. On her death in 1898, she was interred in Roskilde Cathedral near Copenhagen. Louise had the following six children with Christian. Eventually, they had thirty-nine grandchildren. ^ a b c d "Queen Louise wearing the Grand Cordon set of the Order of Saint Catherine, Star of the Order of the Elephant, Badge of the Order of the Dannebrog and the Badge of the Royal Family Decoration of Victoria and Albert". S-media-cache-ak0.pinimg.com. Retrieved 2017-05-23. ^ "English: Louise of Hesse-Kassel, queen of Denmark". Wikimedia Commons. 22 January 2011. Retrieved 2017-05-23. 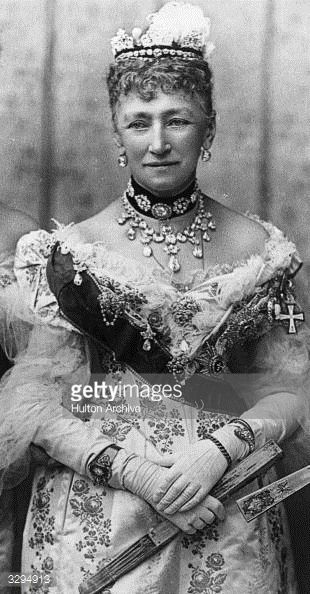 ^ a b c "Queen Louise wearing Danish Royal Family Decorations and the Russian Order of Saint Catherine". Upload.wikimedia.org. Retrieved 2017-05-23. ^ "Photographic image" (JPG). Upload.wikimedia.org. Retrieved 2017-05-23. Wikimedia Commons has media related to Louise of Hesse-Kassel.